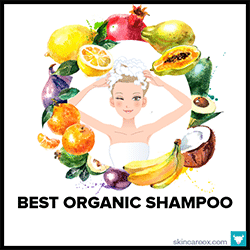 An organic toner is a fantastic addition to any skin care routine. Everyone from renowned dermatologists to Korean K-Pop stars are touting the transformative benefits of adding a toner to your daily skin care arsenal. Toners are essentially liquid moisturizers that are applied after cleansing and before you apply your normal skin care routine (like serums, moisturizers, and treatments). They contain tons of beneficial ingredients like antioxidants, humectants, exfoliants, and anti-inflammatory agents which penetrate the skin where they add hydration while removing dead skin cells and excess oil. They are also great at clearing clogged pores and making large pores appear smaller as a result. By creating a smooth, clean, and hydrated surface, natural toners actually increase your skin’s ability to accept the beneficial properties of your other skin care products. Additionally, toners can help to balance out oil production by restoring your skin’s pH after cleansing. Typically, your skin is fairly acidic and boasts a pH of about 5-6. Cleansers tend to be alkaline and can alter your skin’s pH. This causes your skin to overproduce oil in order to regain its original pH. By using a toner immediately after cleansing, you can instantly bring your skin back to a happy pH range. Now, you may have heard some bad things about the toners of the past, but toners have come a long way from those days. Previously, mainstream toners contained a ton of alcohol. Alcohol was once touted for its astringent properties. An astringent is anything that causes the skin to tighten and contract by removing natural oils. For this reason, strong astringent toners were popular amongst those with very oily skin. While alcohols were great at removing oil, they were also quite damaging on the skin. The alcohols would dry out the skin and erode the skin’s surface—making it harder for your skin to retain moisture in the long term. 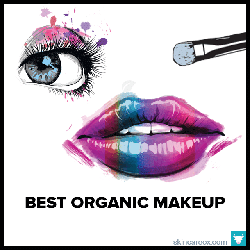 Today, many of the best organic and natural toners do not contain harmful alcohols. Harmful alcohols include SD alcohol, denatured alcohol, benzyl alcohol, and isopropyl alcohols. If you find a toner with these ingredients, then it’s best to stay away. However, not every alcohol is necessarily bad for your skin. Fatty alcohols like cetyl-, stearyl-, behenyl-, and cetearyl alcohols are derived from vegetables, are non-drying, and have emollient properties which are beneficial for the skin. 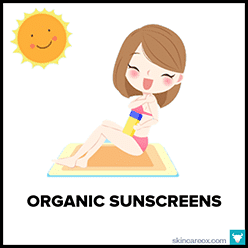 Additionally, some organic alcohols in small quantities (like organic vodka or brandy) can help to brighten the skin and fight acne without causing damage. When it comes to choosing the best natural toner for your skin type, there are definitely a lot of choices. Oily skin types will want to look for a toner with natural + gentle astringents like rose water, witch hazel, mint, apple cider vinegar, and green tea. 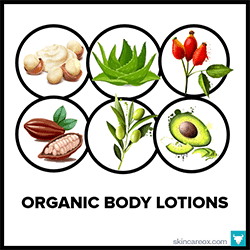 These ingredients will help to remove and control oil production without drying out the skin. Those with acne or clogged pores will benefit from an organic toner with natural salicylic acid (like willow bark), antibacterial ingredients (like tea tree oil and rose oil), and natural astringents like witch hazel. Dry and mature skin types will want a natural toner which adds a ton of moisture with ingredients like hyaluronic acid, honey, aloe, vegetable glycerin, and algae. Lastly, those with sensitive skin or redness will want to look for calming botanical ingredients like aloe, chamomile, cucumber, and rose water. A truly great organic toner will contain a nice combination of all of these ingredients and be gentle enough for all skin types. Want expert help finding the best natural toner for your skin type? Then, check out The Ox Box! Each quarter, we’ll put together a box filled with premium organic skin care products hand-selected for your specific skin type and skin conditions. In summary, a great organic toner should 1) contain high quality natural + organic ingredients 2) not contain any harmful alcohols or excessively drying ingredients 3) add a ton of moisture with beneficial ingredients 4) prep the skin by removing excess oil, dirt, and dead skin cells 5) of course, never contain harsh chemicals or preservatives (such as denatured alcohols, parabens, irritants, phthalates, formaldehydes, ethoxylated ingredients, polysorbates, phenoxyethanol, petrochemicals, triclosan, TEA/DEA, synthetic fragrances and colors). To help you on your search for the perfect toner, we put together this list of the best 28 organic and all-natural toners that we could find. We painstakingly researched each product, its ingredients, and its effectiveness to ensure that only the highest quality products made the list. Additionally, all ingredients were checked against the Environmental Working Group’s Skin-Deep database for safety. You can sort this list by skin type, price, and whether the product contains any alcohol (even the good alcohols). Enjoy! Crafted from unique ingredients like vitamin C (brightening + anti-aging), organic seaweed (hydrating), resveratrol (antioxidants for anti-aging), and pomegranate extract (another antioxidant rich ingredient), this is ideal for mature and dry skin types looking for an antioxidant and hydration boost. Can be used as a toner, makeup setter, or as a refreshing mist throughout the day (keep refrigerated for a cooling mist during the summer). A great organic toner for sensitive skin types! This product is made with just organic aloe vera juice (soothing), aspen bark (a gentle + natural preservative which also softens skin), and neroli essential oil (anti-inflammatory and antibacterial). These ingredients are also great for acne prone skin. It has a light, sweet, refreshing smell that can definitely perk you up. It adds a nice amount of moisture while also absorbing easily into the skin. True Botanicals has created an amazing toner for acne-prone and congested skin. It offers the perfect balance of oil-fighting ingredients and hydrating ingredients like green tea, white tea, apple cider vinegar, black willow bark, sandalwood water, milk thistle, aloe, and lavender. Your skin will be left clean, clear, and shockingly soft. This is a great toner for those with sensitive blemish-prone skin who can't use harsh astringents. A true must try organic toner for those with oily and acne-prone skin. If you want to control oil without drying out your skin, then look no further than this toner. It is formulated with 100% organic and natural ingredients like rose hydrosol + neroli hydrosol (mild astringents for oil balancing), rose essential oil (acne fighting and softening), as well as organic white rose. It also has a light floral scent that isn't overpowering. Designed for those with perioral dermatitis, this organic toner offers a soothing and moisturizing treatment for irritated skin. It is made with 81.3% certified organic ingredients like aloe, calendula, and white tea. Other ingredients include hyaluronic acid (moisturizing) and niacinamide (vitamin B3) to help your skin retain moisture. Great for dry and acne prone skin. The gel has a slightly sticky consistency which fades quickly after application. There is a very good reason why this organic toner is almost always sold out---it really works! The combination of potent natural astringents and acne-fighting ingredients like witch hazel, tea tree oil + water, neem, burdock, rosemary, and willow bark do a fantastic job at clearing and preventing breakouts. It also boasts anti-inflammatory + soothing organic algae and turmeric to reduce redness. 100% natural, non-drying, and non-irritating. S.W. Basics is an organic brand known for their simple, yet effective organic skin care products---and this organic toner is no exception. This toner contains 100% organic ingredients like raw apple cider vinegar, witch hazel, and clary sage + sandalwood essential oils. This combination is great for oily and combination skin types. The apple cider vinegar + witch hazel balances pH and naturally controls oil without drying the skin. A solid organic toner--especially for those with sensitive skin. It is made from 97% organic ingredients like aloe (anti-inflammatory), witch hazel (natural astringent), vegetable glycerin (moisturizing), edelweiss (anti-aging), and green tea (antioxidant). The only non-organic ingredient is natural CoQ10. The non-drying formula doesn't strip your skin of natural oils. It leaves the skin feeling soft and primed to absorb other products. If you don't fall in love with the smell of this organic toner, then you're sure to love the results. Formulated for dry and mature skin types, this toner does a fantastic job at clarifying, brightening, and softening dull complexions. Essential oil of frankincense and sandalwood work to rejuvenate the skin while tried and true aloe soothes. It also contains a hint of black pepper essential oil to fight acne-causing bacteria. Good for men and women. If you're looking for an affordable organic toner, then look no further than this USDA certified organic toner from Acure Organics. It contains 100% organic ingredients like witch hazel, rose water, chamomile, rooibos leaf, calendula, and vegetable glycerin. These ingredients make this a safe bet for all skin types, but it is especially great for oily + sensitive skin. It does a great job of removing excess dirt and balancing the skin's pH. This is a great toner for dry skin types who need every bit of moisture they can get out of their skin care routines. The combination of coconut water (moisture), aloe (soothing), rose (antioxidants), and witch hazel (natural astringent) create a calming and hydrating experience. Hibiscus flower not only gives this natural toner a beautiful pink color, it also provides a mild exfoliating effect (ideal for very dry skin types). Very mild aroma. Dr. Alkaitis' organic toner is made with almost 100% organically grown, ethically wildcrafted, and all-natural ingredients. It is a lovely formula made with aloe, witch hazel, grape alcohol (non-drying and great for oily/acne-prone skin), yerba mate, rosemary, mint, lavender, and so many other beneficial herbs. It adds a surprising amount of hydration for a toner and leaves skin feeling soft, toned, and glowing. An A+ formula from an A+ brand. This is real collagen-boosting powerhouse organic toner for mature skin types. It combines neroli oil, coconut milk, and coconut water for intense hydration while green apple stem cells and natural retinol go to work to lift, tighten, and add elasticity. This clean formula also includes carrot extract, vitamin C, CoQ10, and alpha lipoic acid. Even better, the results are quite noticeable after just a few uses. Also great for dry skin types. A 100% natural and organic toner made by the always gorgeous French Girl Organics. Yummy ingredients like rose, witch hazel, orange blossom, and lemon verbena work to restore the pH of the skin while calming inflammation and adding a hint of moisture. A great pre-makeup toner and a lovely "on the go" mist during the day. Just pop this baby in the fridge for a cool and refreshing treat during the hot summer months. 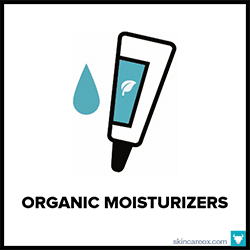 Simply one of our favorite organic toners for dry skin on this list. This toner has a light gel-like consistency which gently coats the skin and then sinks down deeply where hydrating ingredients like sea kelp, algae, hyaluronic acid, and organic glycerin work to quench thirsty skin. Skin is left noticeably soft + supple. A little goes a long way, but you'll be tempted to smother your skin in this stuff. USDA certified organic and 100% natural. SanRe continues to be one of our favorite organic brands. Everything they make is super pure and quite effective. This Rosy Fresh organic toner is made with simple ingredients that will leave your face noticeably refreshed. With the exception of rose hydrosol, this formula contains 100% organic ingredients like aloe, rose oil, green tea, calendula, chamomile, tea tree oil and arnica. Great for all skin types and especially great for acne prone skin. Alteya Organics is the industry leader in harvesting and distilling organic Bulgarian roses. In fact, they are the premier rose oil supplier of many luxury skin care brands. It is no surprise that this USDA certified organic rose water toner from Alteya is one of the best on the market. It contains nothing but 100% certified organic distilled rose flower water. The smell is beautiful and unique to the Bulgarian rose. Great for those with acne. This organic toner has a unique formula and approach for dealing with oily skin. Instead of stripping and breaking down the skin's natural oils, this toner gently balances the skin's oil production while adding necessary hydration. It's made with 99% organic plants (radish root ferment is the only non-organic ingredient). It is ideal for those with oily skin as well as those with inflamed skin like acne, rosacea, or dermatitis. A simple formula made from wild plum juice and salicylic acid. While the salicylic acid smooths the skin's surface by removing dead skin cells and excess oil, the wild plum juice works on soothing + brightening irritated skin. The combination is great for those with a dull complexion and dry skin (salicylic acid acts as an exfoliant) and those with oily skin (salicylic acid unclogs pores). Really leaves skin feeling clean + refreshed. A simple 100% organic toner made from two ingredients: French artisan distilled certified organic rose distillate and a dash of rose quartz crystals for good vibes. It has a beautiful floral scent that isn't overpowering. Pure rose toners are fantastic at adding moisture, fighting bacteria, and balancing the skin's natural pH. While this is a lovely toner, it also makes a great refreshing all over body mist to be used throughout the day. An affordable organic toner if you are looking for absolute purity with a reliable USDA certified organic seal. It's made with dependable toning ingredients like aloe, witch hazel, apple cider vinegar, and green tea. It does contain organic vodka (not denatured), but the formula was not drying. 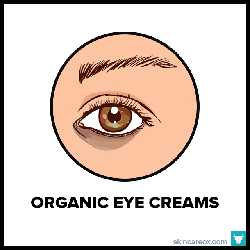 It also contains a few oils like olive oil, orange oil, geranium oil, and rosehip oil so it may not be the best choice for oily skin or clogged pores. A great toner for both men and women. For men, this toner works great as an after-shave because it helps to reduce inflammation and keep razor bumps at bay (doesn't burn). It's called a 4-in-1 toner because it works to cleanse, exfoliate, soothe, and hydrate skin. Made with 100% natural and 53% organic ingredients like aloe, green tea, willow bark (natural exfoliant), and sodium hyaluronate (fights fine lines and wrinkles with a boost of moisture). Certified by Ecocert and made with 99.99% natural ingredients and 97% organic ingredients, this honey + lavender toner is both pure and effective. Lavender and aloe vera work together to soothe and balance the skin while honey acts as a natural humectant (draws moisture into the skin). The smell is really light and refreshing--like a subtle lavender. A good toner for those with dehydrated skin or those with redness. A simple yet potent organic toner made with classic ingredients like rose water, aloe, witch hazel, and essential oils of rose, rose geranium and lavender. Not only does this formula smell great, it's also able to treat both oily and dry skin. How? The rose and rose geranium combo work in tandem as humectants and oil balancers. These potent flowers are balanced with the addition of familiar staples like aloe (soothing) and witch hazel (astringent). A great organic toner for those with uneven skin tones, hyperpigmentation, or dull complexions. Contains just three ingredients: stone crop juice water, and salicylic acid. The key ingredient, stone crop juice is known to lighten skin and reduce the appearance of dark spots and blemishes. Use caution when purchasing this product from Amazon as the product we received was poor quality and may have been a fake (we linked to another store). A blast of hydration in a bottle. This yummy organic toner is made with Cocovit's signature pure, raw, and organic coconut water and coconut oil. Additional ingredients include witch hazel, aloe, honeysuckle flower, and dead sea salt. It's the perfect little mist to carry around daily or to take on those dehydrating plane trips. The product has very light consistency and smell, so it's easy to get carried away and mist all over the face and body. Crafted especially for those with acne prone skin and frequent breakouts. Willow bark, the key ingredient, is rich in salicylic acid which clears pores and removes dead skin cells. It also contains peppermint oil to remove any access oil without causing drying. 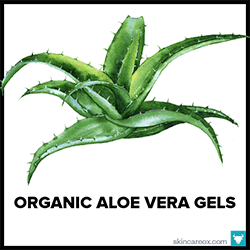 If dryness does occur, it's got a healthy dose of aloe and vegetable glycerin to replenish moisture. 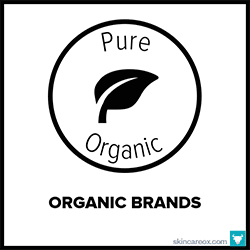 While none of the ingredients are organic, they are all 100% natural. I’ve a combination skin type, does this mean I’ve to spend twice as much i.e. spend for both oily and dry?